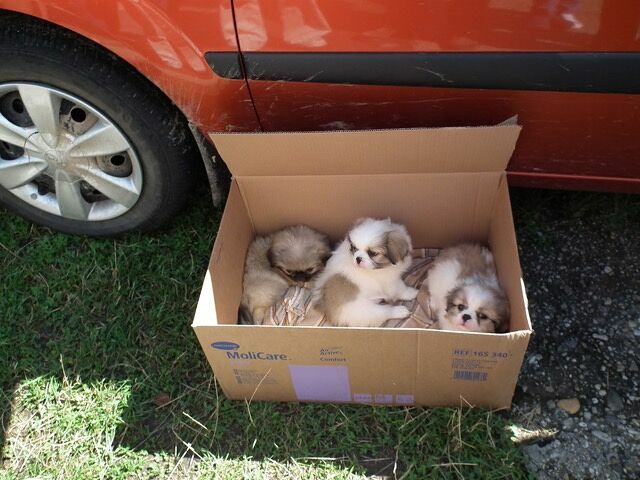 Help these puppies uncover the truth! Buying a new four-legged member of your family is a big decision, full of excitement and choices, it's a big commitment and you want to get it right. If you do decide to get a pet you may decide to get it from a shelter, a local breeder, a pet shop, or you may choose to buy a pet online through a classified ad site. That last option comes with risks that buyers might not be fully aware of. The following were all uncovered by the charity, allowed to happen due to a lack of proper regulation: a puppy being swapped for a smart phone, a pit bull advertised illegally for professional dog fighting, illegally imported puppies from Lithuania, an unwanted pregnant monkey, wild boar being advertised to train hunting dogs, an endangered ring-tailed lemur for sale as a pet and a parrot being swapped for a lap top. Countries included in the research were Australia, Austria, Belgium, Bulgaria, Germany, the Netherlands, Romania, South Africa, Switzerland, and the UK. To combat the problem the charity have developed an online tool which can be accessed at petdeception.org. The tool ranks the sites according to a set of measures designed to safeguard and protect the animals sold on them. There is an online petition which calls on these global brands, like eBay Classified Group, to adopt these measures. To learn more about the campaign visit the Pet Deception campaign website.